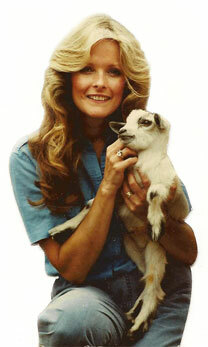 The Esther Honey Foundation, Inc. (EHF) was founded by US tourist and animal advocate Cathy Sue Ragan-Anunsen in 1994 following a 1993 holiday in the Cook Islands. While in Rarotonga, Ms. Ragan-Anunsen befriended a Rarotongan dog named “Honey” and learned that there were no veterinary services in the country for its *thousands of cats and dogs. (*According to the local anti-cruelty group representative in 1993, there were “6,000 dogs and 8,000 cats” on Rarotonga.) Ragan-Anunsen returned to her home in Oregon and, with the help of her colleagues, friends and family, began to assemble the necessary components to establish the Cook Islands’ only veterinary hospital. A stream of replacement veterinary drugs, supplies and equipment. In 1995, there were no program models to follow. No email for inexpensive and quick communication between the home office and the program site. Phone and fax fees from the US to the Cook Islands exceeded $5.00 (USD) per minute. After returning to Oregon, the first fax sent to the island was to inquire about the starting point for building a veterinary clinic. The challenge was to create, from scratch, an ongoing veterinary care delivery system for patients who were halfway around the globe. Limited financial resources and a determination to provide care led to the creation of EHF’s unique system for providing service. The EHF VET TREK® model was developed and the name trademarked with the US patent department. Finally, in 1995, The Esther Honey Foundation Animal Clinic, named in honor of Ragan-Anunsen’s grandmother, Esther, and the golden Raro canine, Honey, opened its doors to the Rarotonga community. EHF introduced its comprehensive plan to improve the animal health conditions throughout the Cook Islands in large part by humanely and purposefully reducing the number of unwanted dogs and cats through spay/neuter and humane education. EHF’s founder, Ragan-Anunsen, recruited 500 veterinarians and thousands of support staff volunteers to provide service to the Cook Islands animals and communities. The foundation and its supporters continued to provide all of the drugs, supplies and equipment required to treat more than 3,000 patients annually. EHF treated more than 37,000 patients, including spaying and neutering 13,900 cats and dogs. Volunteers, too, benefited from the foundation’s programs and the unique learning experiences they offer. Ms. Ragan-Anunsen’s dedication combined with the generosity of individuals, organizations, veterinarians, pharmaceutical companies and animal advocates, has resulted in more than $6 million US dollars in veterinary goods and services being delivered to the Esther Honey Foundation Animal Clinic since 1995. The foundation continues to provide skilled and compassionate veterinary care, emergency services, humane education, humane population management and shelter to more than two-thousand eight hundred Cook Islands animals each year. EHF is one of the longest running and most successful island nation veterinary services in the world thanks to the contributions of caring people from around the globe. Over the past few years, new programs very similar to the EHF model developed over 18 years ago, been initiated by other organizations. We are especially heartened by those started by past volunteers who used what they learned while volunteering for EHF as their inspiration and blueprint for their own program. The idea of people combining volunteering and travel is now so popular a new word has been coined: “volun-tourism”. The Esther Honey Foundation programs were recently named one of the world’s ‘best 100 volunteer vacations to enrich your life’ in the National Geographic’s 100 Best Vacations series for its work in the Cook Islands and Bora Bora. “The Esther Honey Foundation was inspired by one brilliant, engaging, golden dog, who touched one person. I am honored to be that person and to have been able to respond to Honey, her friends and her island community’s need. My contribution was and remains only the starting point. If not for the thousands of people over the past years who learned of a need and instead of continuing on their way, asked, “How can I help?” the effort to bring care where none existed would have ended with my return to Oregon. Because of this lovely mix of incredible, like-minded people, the concept of establishing a clinic half-way around the world evolved from an unlikely and optimistic vision to reality. Veterinarians, Dr. Byron Maas, Dr. Barry Nicholls and student Jared Sather placed their lives “on hold” to travel to an unfamiliar country to provide service to animals without access to care. Skilled Cook Islanders joined the effort to turn an old motorcycle shed into a surgery suite. Animal advocacy organizations, pharmaceutical companies and other businesses, individual donors, and volunteers have given their funds, products, time, skills and their hearts to keep EHF programs growing, to ensure that someone who can help alleviate their suffering is there when a dog or cat is crushed, poisoned, shot, sick or abandoned. Talented writers like Hsin-yi Cohen, Tarah Campi and other media professionals such as Erin Hirn of May Street Productions (Who flew their film crew to Rarotonga to document EHF’s efforts to save dogs targeted for destruction) have contributed to the more than 100 international magazine and newspaper articles published and documentaries produced about EHF. These projects ignite interest in our work and in the plight of island nation dogs all over the world. Veterinarians, vet students and interns travel to the clinic at their own expense to contribute and to improve their skills. In some cases, their experience with Esther Honey will change their life course. The growing level of support from businesses and individuals, locally and world-wide, confirm that the number of those asking, “How can I help?” continues to expand.